Your Party, Your Food, Your Way! The best kind of events is those that make you feel like a part of it. A throwback to a Raya Celebration at Bayan Baru. 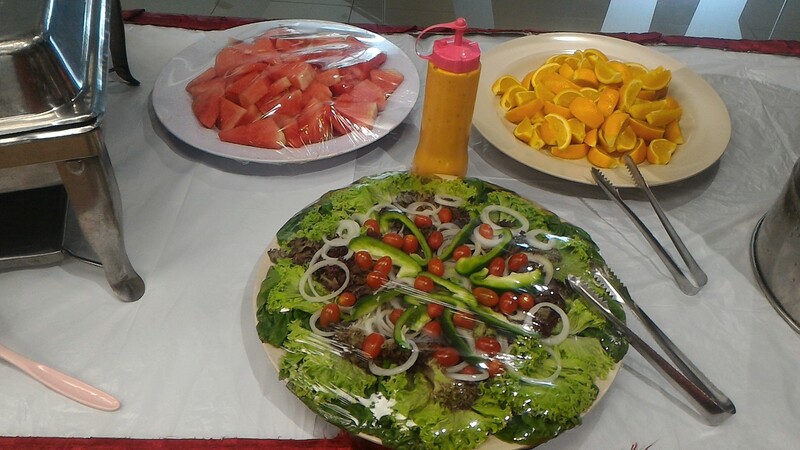 Hosted by an amiable family, we put on a buffet spread for a diverse mix of crowd. Amidst the cheerful conversations, warm smiles and a pleasant decoration, we served a spread of Malaysian delights to pamper everyone’s palate. A set for a delectable dinner. Don’t forget your green rations. Canopies, tables and chairs were provided by us too. A black & white themed birthday party in Gurney Drive. The warm and welcoming event was matched by a delectable range of food. We can provide birthday party catering anywhere you please – residential homes, beaches, parks, community halls, surf clubs, function centers and more. If you’re not holding the event at home, be sure to check what amenities are available at your chosen venue; eg, bathrooms, kitchen. Themes are a great way to make the party even more memorable. We’ve provided birthday party catering in the past to match many themes including Hollywood glamour; the 80s; Casino Royale; colors; and international. The birthday cake is the pinnacle of every party. You don’t have to be a domestic goddess to create a really spectacular cake that will make guests “ooh” and “aah”. Hit the recipe books or search the internet to make the perfect cake to surprise the birthday boy or girl. Alternatively, take advantage of our full birthday catering service and have our chefs design a cake that will leave a lasting impression. Mushroom soup and garlic bread to whet the guests’ appetite and followed by grilled chicken with capsicum and black pepper sauce, pineapple fried rice, fresh garden salad, spaghetti bolognese, crispy wedges, corn and bean mix, curry puffs, and orange cordial was the menu of the day. 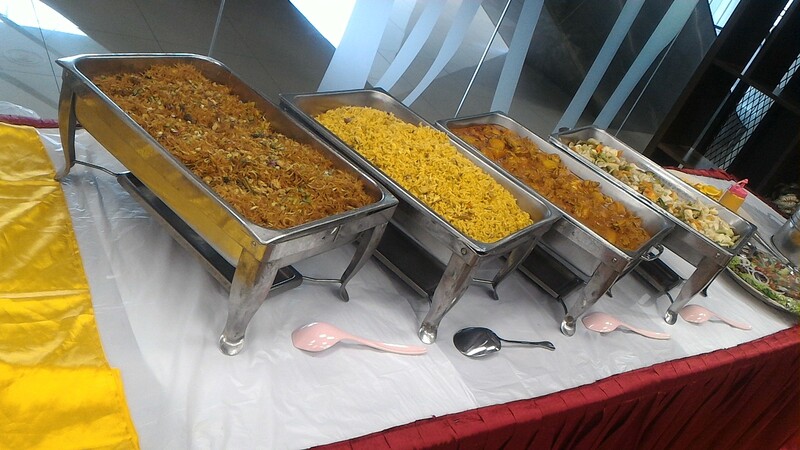 Catering Penang DotCom had held a dinner setup for a renowned gym at the heart of Georgetown. Fitness freaks enjoyed a great meal before burning the calories later inside. Biodegradable plates were used and a staff was provided for assistance. Other than that, customers can plan the best dinner party ever with our guide on how much to serve. 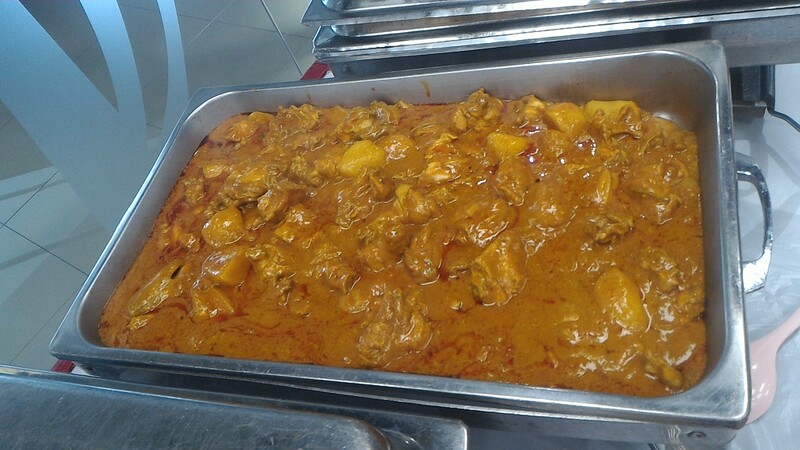 Rated as One of the Best Caterings in Penang!